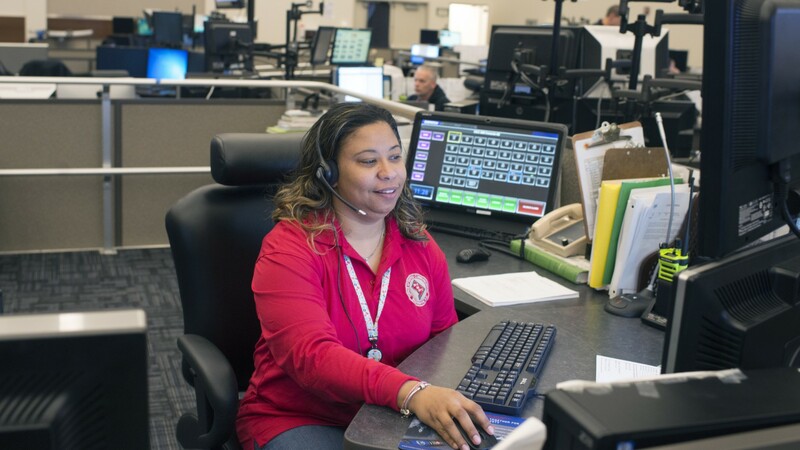 In an emergency, when a 9-1-1 call is made, emergency dispatchers keep a cool head to ensure that callers get the help they need, while providing a reassuring presence over the phone. Police, fire, and ambulance dispatchers answer emergency and nonemergency calls. They quickly determine the type of emergency, its location and the response needed, then relay that information to the appropriate emergency responders. They also give medical instructions or advice on how to stay safe until help arrives. Dispatchers monitor and track emergency vehicles, coordinate responses with other local communication centers, and keep detailed records of calls. Dispatch work is stressful. Dispatchers often work long shifts taking many calls… under pressure to respond quickly and calmly… sometimes handling life-threatening situations. Most work for local government, in centers called public safety answering points. Some work in law enforcement agencies and fire departments. Shifts include weekends, evenings and holidays. Dispatchers generally need a high school diploma, U.S. citizenship, and dispatcher certification. Candidates may be required to pass a typing test, background check, drug tests, lie detector, and hearing and vision tests. Spanish language skills are a plus. See more details at O*NET OnLine about police, fire, and ambulance dispatchers. Police, Fire, & Ambulance Dispatchers by U.S. Department of Labor, Employment and Training Administration is licensed under a Creative Commons Attribution 4.0 International License.